These are the nature books that caught our eye this month. Reading suggestions about wolves, flowers, Portuguese wildlife, a celebration of Ernst Haeckel’s work and Robert McFarlane’s return. What is there in the Portuguese natural world that enthuses a master biologist in nature management and conservation and candidate for a doctorate in Biodiversity? The answer is in this book and divided in 30 chapters. Each one is dedicated to an element of nature that fascinates her and she found on her way, from the boar to the ladybug. Or the pattern of the quail eggs, the lacework of the oak leaves, the colours of the granite and the flower of the rock-rose. 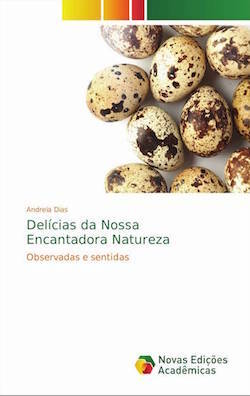 In a personal register, as if from a conversation, Andreia Dias tells us the stories of animals and plants and the sensations that they produce. It is a work that seeks to challenge the reader, especially the younger ones, to be attentive to the curiosities of nature in Portugal. The book can be ordered here. This book is in Portuguese. The acclaimed British author Robert MacFarlane – author of works such as “Mountains of the Mind” (2003), “Wild Places” (2007), “The Old Ways” (2012), “Landmarks” (2015) – has this month his latest book. This time he is accompanied by the illustrator Jackie Morris on an ambitious mission: to combat the disappearance of literacy on wildlife and the natural world. And this is a pressing task. Words that describe nature are disappearing from children’s vocabulary. 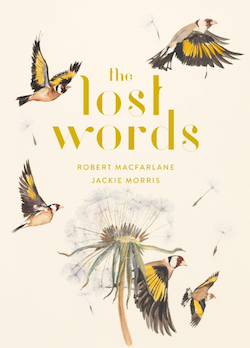 To counteract this trend, “The Lost Words” is an illustrated book for kids and adults that celebrates the icons of nature, from otters to snakes and kingfishers. According to official censuses, the number of wolves has increased in recent years in Spain. But also their presence in the media. The Iberian Peninsula’s biggest predator is back in the spotlight as the protagonist of a conflict of interests between different sectors of society: cattlemen, shepherds, administration, hunters and conservationists. 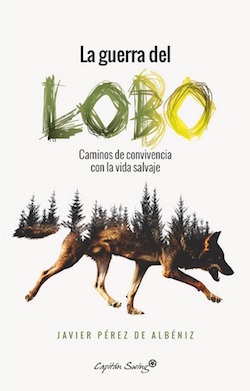 A fundamental part of culture in North-West Spain and protagonist of varied legends, the wolf is the most admired and hated animal of Iberian fauna. In this book, Albéniz mixes a personal narrative and journalism. For a year, the author sought the trail of these animals, whether in the field – both where it is hated and where it is protected – or in the offices and among official bureaucracy. 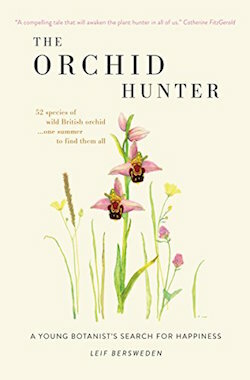 In summer, after leaving school, a young botanist embarks on an adventure to fulfill a child’s dream: to find all 52 species of native orchids of the British Isles. He has only a few months to do it – something that no one has done before. Therefore, this project will demand of him ingenuity, willpower and a great deal of luck. Leif Bersweden takes the reader on a botanical journey which is also a report of an adolescent’s obsession with the natural world. 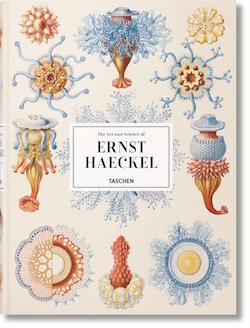 The work of Ernst Haeckel (1834-1919) – biologist, naturalist, artist and German physician – is celebrated this month by Taschen in a new book with 450 of his famous illustrations, taken from volumes such as Die Radiolarien, Monographie der Medusen, Die Kalkschwämme and Kunstformen der Natur. At a time when biodiversity is increasingly threatened by human activities, this book is a visual masterpiece, an underwater exploration and a reminder of how precious the variety of life is. Haeckel undoubtedly worked for this purpose. He devoted his life to the study of flora and fauna from the highest mountain peaks to the deepest oceans and left a legacy considered colossal with hundreds of detailed illustrations, watercolours and sketches.